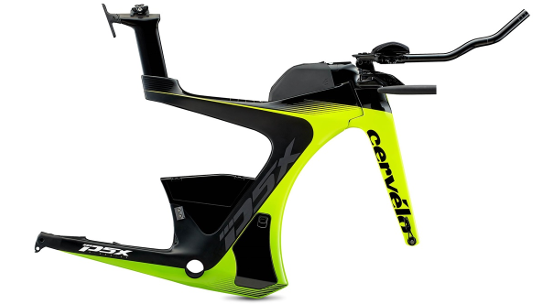 The revolutionary Cervélo P5X, the ultimate triathlon bike. 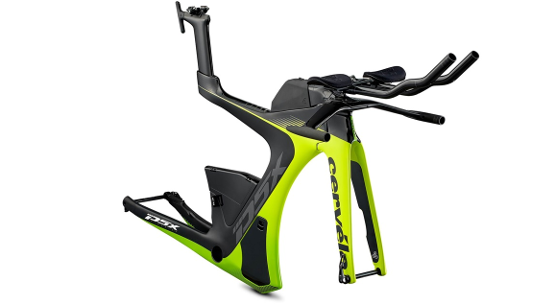 Three years of research, data analysis and development led to the design of the world's fastest, most technologically advanced triathlon bike ever made, which, for the first time in history covers the unique needs of every triathlete, whether training, racing or travelling. Cervélo went to the nth degree to ensure that every detail of the P5x enhances stiffness, weight and aerodynamics ensuring you are left completely focused on the task ahead of you as well as being 30 grams faster than the P5 at +15 to -15 yaw angles in a full Ironman setup. The P5x boasts a built-in smartpak, stealthbox and speed case components, that allow you to store all your hydration, training kit and nutritional needs as well as being able to fit three water bottles, exactly where you need them. Cervélo has also designed the P5x so that you can disassemble it with only 7 bolts, meaning less hassle when travelling for training or racing needs. The P5X’s exclusive Smartpak, Stealthbox and Speedcase, placed on the downtube for extra storage and alternate bottle orientation, creates the ultimate way to store all triathlon equipment and nutrition without aerodynamics compromised. With the added convenience of three round bottles placed exactly where they are wanted, the P5X has storage covered. 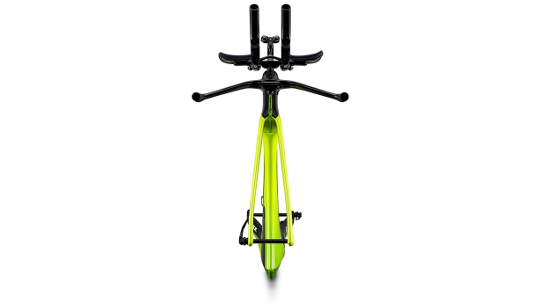 Disassembled with just 7 bolts and minimal tools the P5X has to be the easiest triathlon TT bike ever to disable taking the stress out of assembly and travel. Featuring a two-piece fold-able aerobar with proprietary padded holster, Cervélo teamed up with Biknd to provide a custom P5X version of the helium 4 bike bag that features a set of foam-and-neoprene components that surround all four P5X sizes in any custom configuration ensuring secure, quick and accurate packing. “A proper bike fit is the biggest performance upgrade you can make to achieve your personal best,” Mat Steinmetz - Cervélo Director of Human-Bike Interactions. 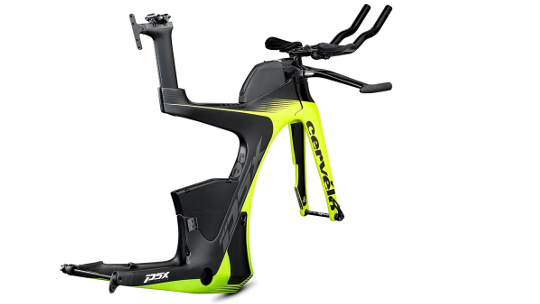 With more than 180 hours of wind-tunnel testing, along with extensive CFD analysis of 150-plus frame iterations, the P5X is designed to feature micro and macro adjustably that allows every athlete to find their perfect position quickly and easily. Its wide front-end fit range features 112mm of sliding stack with up to 12 degrees of tilt and 91mm of reach adjustable, as well as a flippable base bar.